Photo by seeks2dream. Licensed under a Creative Commons License. Dogs have whiskers on their nose above the upper lip, chin, and forehead. If you trim them, it will not hurt them. However, they do use their whiskers as a sixth sense, so you might be limiting their ability to play or hunt for a while. Dogs’ whiskers are called vibrissae. Their roots are three times as deep as ordinary hair and the whiskers themselves are twice as thick. Whiskers are one of the ways dogs sense the world around them. They can feel air currents and dogs use that information to figure out the size and shape of nearby objects. They can also figure out how narrow or tight a hole is. Whiskers also help protect dogs’ eyes like human eyelashes. If the whiskers are touched, they blink. So you can safely trim your dogs whiskers (and they’ll grow back) but it might be like putting ear plugs in their ears or blinders on their eyes! There is no reason other than showing a dog to trim their whiskers. ← Why do dogs chase their tails? I disagree that theres no reason other than showing to cut a dogs whiskers. I have a dog whose whiskers grow up and come close to touching his eye. I have one question, my puppie actually bites his own whiskers! He’s a 4 months old rottweiler and his whiskers are unusually small and bitten on the extremities. There is no way another animal is doing this since he’s our only pet. The vet said this was the first time he eared something like this and I can’t find anything similar on the web. Any thoughts why he does this or how to stop him from doing it? I think the first step is to actually figure out what’s happening. Maybe on a weekend, you can watch him closely until you see what’s going on. If he’s chewing his own whiskers, is he doing it out of stress? When you leave? When he’s bored? Can you change that some how? Maybe put something he doesn’t like on them? And give him a good bone to chew on too. I can tell you’re anti-showing but “Limits their ability to play”. Really?! Not in my house of dogs. I regularly trim my dogs whiskers – yes I like to show my dogs and they love a great day out, and I can tell anyone reading that they play just as well and are not ‘limited’ or suffering in any way. Maybe I should worry when my husband shaves that it will limit his ability to enjoy his game of rugby! Pff! To the lady whose dogs chew their own whiskers, your dog isn’t suffering, bored, stressed or ill – it’s a natural thing that dogs do just like biting their own fingernails or licking each others ears. Cats do it all the time too. I just got an 8 week old pug puppy and I noticed that most of his whiskers are blunt like they have been cut. Some of them aren’t and I can definitely tell the difference. I first noticed this because kissing him hurt. They’re like needles. Why would someone do this to an 8 week old puppy? The puppy was already eating dry food when I got him and maybe I just have a dark mi d but what if they did this to wean the puppy faster? The whiskers could irritate the mother’s stomach and not want her to nurse the pup anymore? Dogs are dogs. They’re not human, (as much as we desire to treat them as such). Dogs have hair and whiskers for good reason. To groom them, as if they are human, is simply quite silly. I have a question my 3 year old pit bull girl likes to go up to my other dog and tap him with her snout on his snout trying to tell him to trim her whiskers and he will do it, her whiskers are really short, to me I think this is really weird, I always try to get them to stop, I was maybe wondering how I can prevent this, and was why she like it so much? Gary, et al. Actually dogs are not dogs, they ceased to be so thousands of years ago when humans domesticated them. Modern dogs, left to themselves would eventually die out do to the genetic damage that has evolved in them through that process of domestication. 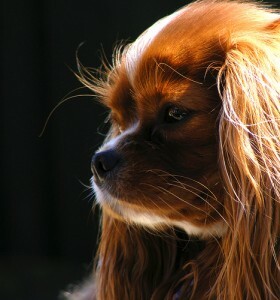 Modern dogs don’t rely on whiskers the way their wild Cousins do and as a result they do not suffer for the loss. A lot of modern dog breads need constant grooming as their hair mats quickly which can cause other skin irritations. Trimming the whiskers makes the hair cut look more finished and is a lot easier for the groomer. I have a one year old chichauhua and she has long whiskers and I wont cut them because they are there for a reason. Thats the way god made them. She is perfect just the way she is. I agree with Melissa that there can be good reason. I looked up this question because my dog has long hair and I need to groom her on a regular basis to ensure good health. She plays in the yard a lot and gets a lot of burs in her fur. Sometimes I need to shave the burrs out and if I don’t she gets matted fur and bald patches. I was wanting to groom her face because she got some burs that weren’t coming out with brushing on her face and she also gets watery eyes which mats the fur under her eyes and can go towards her nose. I was really nervous about grooming her face because I know she’s got whiskers hidden in all that fur and I didn’t want to hurt her. I’m glad that cutting her whiskers won’t hurt her but sometimes when grooming her these whiskers are just in areas of matted fur and places that are obstructing her vision. So, yeah I can see how trimming only whiskers can be a cosmetic practice, but in my case the whiskers are just in the way while I am trying to maintain a healthy coat for my dog. My 3 year old yorkie got a very short trim and I notice his whiskers were cut, he has not been the same all he does is bark a lot more than usual, can this be the reason for his change in behavior ? I have a shih tzu puppy and one day I was cutting his hair because he has long hair and it gets into his eyes well I accidently cut a little piece of his whisker and I’ve notice that he rubs his face alot on the carpet and he’s always rubbing his eyes with his paws. Is that because I accidently cut a piece of his whisker? Norma, I don’t think that your Shih Tzu is doing this because of a cut whisker. Rubbing and biting seems to be a bit of a breed trait. Google it. Please see vets reply, and I’ve been told the same thing from 11 other vets as well. Although I wouldn’t trim them unless it was a nessesity, overgrowth, or some injury. Joey Smith, some people have to trim their dog’s face fur (such as myself) or else it gets knotty and matted and my dog gets irritated by it getting in his eyes if I don’t trim his face fur. He has tons of whiskers, to the point where I can’t manually cut his fur around every single whisker, there are just too many. It doesn’t seem to have affected him at all, he actually seems a lot more happy since his fur isn’t blocking his eyes. I understand that people shouldn’t cut them without a good reason to, but I believe that my reason is a good reason to cut them because it actually makes him happier. Plus, I take him for a walk every single day and after I cut them, he walked normally and followed tracks of other animals normally, and did everything normally. It mostly just depends on your dog’s situation and environment to see if you should cut their whiskers or not. Btw, you don’t have the right to tell someone if they are allowed to own a dog or not. I’m not particularly fond of dog shows, but some dogs actually enjoy it along with their owners and I respect that. I recently took my Jack Russell cross to the groomers for a good wash and asked for them to give her a little bit of a trim. The fur around her mouth was very messy as was the fur around her neck and now she’s had a trim, she looks much neater and less scruffy. I noticed they’ve trimmed her whiskers as well and I came here to have a look at some opinions as I know cats whiskers are very important and it’s unwise to trim them and can adversely affect them, but I wasn’t sure about dogs whiskers. She doesn’t seem affected by it, and I only noticed because her whiskers usually tickle me when she comes for kisses and cuddles. Cutting your dogs whiskers will not hurt or effect your dog in any way. Dogs are not cats and have no need to know if they are going into a space too small for them and honestly most are smart enough to know that anyways. That said, you should use common sense which I am sure most who came to this site already have bc they were smart enough to do some research. I have a cocker (like the adorable pic) who’s whiskers I’d never trim bc her facial hair doesn’t grow. However I have a cockapoo who has facial hair that gets matted in food and bacteria and annoys her eyes. In this case I obviously have to cut her whiskers along with the hair that could otherwise cause other health issues or concerns. I even have a cat that grows one adnormally long whisker which I trim to match the others and it has never bothered or effected her. Point is, don’t do it if not needed but again I am sure you know that. As for the comment about dogs were made as God intended… Seriously Ed? God didn’t make dogs… people did. God made wolves and we cross bred and altered them to get the hundreds of breeds we now have. Many of which have serious health issues due to our negligence. So if you need to shave your dogs face then go for it… If you just don’t like your dogs whiskers than perhaps you shouldn’t have a dog. My small dig has two whiskers on his upper lip that are bent at the end, should I trim those two cuz they look broke at the ends? While not as sensitive as a cat’s, while awaiting final vaccination by my son, the dam’s owner, a french bulldog pup of 5 weeks chosen by the owner of its sire as his compensation had his whiskers trimmed to be viewed by someone else on the web for re-purchase for professional show purposes. Immediately the pup’s ears dropped and he toned down while those of his siblings remain perked up. He had been a fairly inquisitive pup. Poodles get their face shaved, so why why would it be ok to shave poodle faces but should trim other dogs whiskers? Poodles are dogs too ha! I agree w Joey Smith. That hair is there for a reason. I have a shitzu/terrie and her face is covers w/ fur. People always aske me how does she see, you should cut the hair around the face. My response is always I don’t see her running into furniture or other obstacles. This is rediculous . They are made this way for a damn good reason. I just clean her face on a regular basis . She’s fine & a very happy dog!! Be it your dog or cat or any animal for that reason, they don’t need our interference when it comes to things like those mentioned. It’s like saying that evolution made a mistake and we are going to correct it. Cats have these little whiskers type of hair that grows halfway up the back of their paws, to you it may look like 2or3 hairs that are longer than the rest of the hair on the cat, especially if the cat has short hair. And you may think it looks awkward and cut it. If you do, you would be taking your cats natural ability to measure distance, how high it needs to jump etc. You ever notice a cat jumping up on something and landing perfectly without a sound? It’s because of those hairs I mentioned. Cut them and your throw your cats natural ability in the garbage, at least till it grows back. My point is, educate yourself, inform yourself before making a decision that will harm or hinder your animals abilities. John koko, I am sorry to tell you but domestic dogs, or dogs we keep as pets, did not evolve. They were genetically manipulated by people. Wolves, coyotes, and other wild dogs are evolved and adapted to their environments by nature’s processes. The same goes for domestic house cats vs wild cats; such as lions, tigers, and bobcats. I believe you should research and study up on this subject yourself. It is a fascinating subject. If I do say so myself. My little sister gave our Golden Doodle a trim and cut all of his whiskers. And to say they don’t act any different is baffling to me. He def acted way different. He was disoriented, scared, timid, Moved weirdly. I suggest not doing it unless absolutely necessary. I trimmed the whiskers on just one side of my dogs face. Now he walks in circles. Just kidding it really didn’t make any difference he just as happy and crazy as ever. Maybe just depends on the dog, who knows. I agree with Gary. Dogs are not human! Why aren’t they shown and judged by being the way a dog should be. I think beyond bathing and brushing them and trimming coat is idiotic. The only dog I’ve known with shaved whiskers is one of the worst behaved I’ve ever met. He’s “shown”, has trainers, and been through many trainings with owner. He is unable to read cues of other dogs, or listen to people. He bites my dogs entire ears and jumps on her relentlessly. She is extremely patient with other dogs but snaps at him and he keeps going. Other dogs at dog park have bit him when he’s relentless and he doesn’t seem to care at all. Maybe he needs his whiskers! I have 2 toy poodles and they get groomed and shaved ever 6 weeks. My dogs need to be groomed as they don’t molt. You ever seen a lost sheep that’s been found months later? Google it and you will be looking at some sorry looking sheep. So if you own a dog like a poodle, you have no Choice but to groom the dogs face. It’s cruel no to groom a dog like a poodle. I have a Brussels Griffin/ Chihuahua mix, with big eyes, and furry, smooshed face, and the hair under her eyes, with whiskers interspersed, is constantly blocking her eyesight, and getting crusty eye boogers in it. Her face is too small and her hair too long to brush out of the way, that cutting it (and the whiskers) is the only way to keep it out of her eyeballs. My only concern was pain, and you took care of that. Thanks! I have a Maltese Yorkey mix she is ten years old and has been going to a AKC accredited groomer suggested by our vet . We have gone to her from the day we brought her home, when we pull in th the groomer she runs to there door excited to be there. She has never shown any issues whatsoever playing and or hunting lizards nonstop. We live in Florida so we have her cut short for most of the year she lives a better life then I do no doubt about it. Can’t say anything about other owners dogs and to the comment made by another it’s not cruel if for any reason it effected her we would have stopped long ago. Like I said she lives a better life then I do.